Make a statement in your home with the Altamonte Charcoal 70 Inch Media Console. 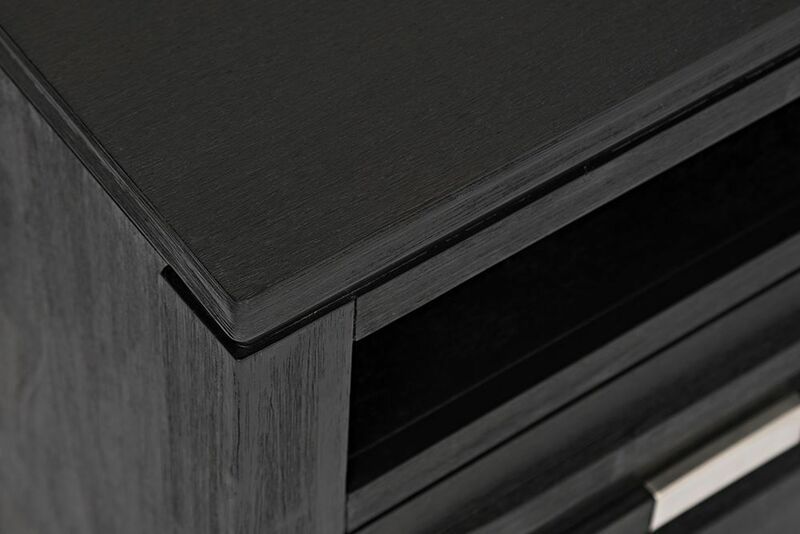 This sleek piece is sure to wow the crowd, featuring a dark charcoal finish, fixed interior shelving, wire management, and space for a sound bar. Boasting a modern design made of acacia and veneer, this media console is accented with bold silver hardware and features tasteful distressing. Ultra stylish and incredibly functional, what more could you ask for? Make a statement in your home with the Altamonte Charcoal 70 Inch Media Console.